Push the door and let yourself be seduced by an exceptional hotel located in the heart of Bourges. 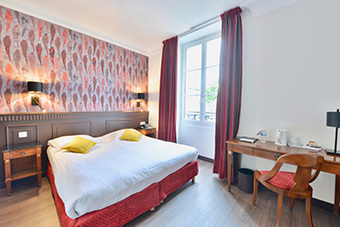 The Best Western Plus Hotel d’Angleterre is the only hotel located within the medieval city walls and is a starting point to discover the charm of the city and its many treasures. From the Jacques Cœur Palace to the Cathedral and its cobbled streets, the town of Bourges is full of riches for the visitor’s eye. 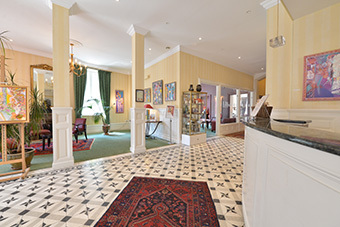 We offer 31 rooms with all the necessary comfort in a cosy and warm atmosphere. The rooms, carefully decorated, transport you in real cocoons to spend exceptional nights. 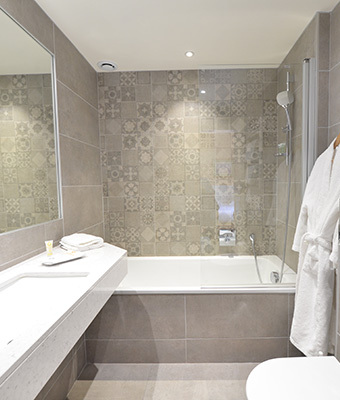 All rooms have a spacious and modern bathroom. They offer customers real peace and quiet and all the equipment necessary for optimal comfort. Hotel not accessible to people with reduced mobility.